Tomorrow, the 2nd of March, from 11:30 am to 1:30 pm, this beautiful, brand-new home will be open to the public! Come be the first to see it BEFORE it even hits the market! Surround yourself with luxury when you live in this incredible home! It&apos;s conveniently located in coveted South Tampa, only moments from gourmet restaurants, chic boutiques, grocery stores, professional sporting venues, and much, much more. Living here places you in the center of it all! 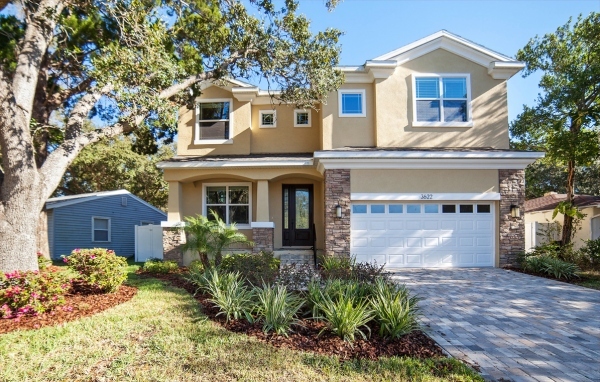 Immerse yourself in this clean, well-maintained and highly sought-after neighborhood. It&apos;s zoned for some of Tampa&apos;s best schools, including the illustrious Plant High School.